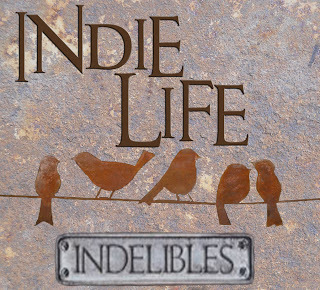 Welcome to my Indie Life post for May. This is a monthly feature posted on the second Wednesday of the month and hosted by the Indelibles. The aim is to promote, encourage, and support indie authors. It's been a whirlwind of a month for me. Sacrifice is in the final stage of edits, and is due for release on May 27th. I had the cover reveal back on April 23rd and the response was tremendous. I'm so grateful for the mountain of support I've found in the Indie community. So, today I wanted to talk about fear. I often doubt my abilities. Is my writing good? Or is everyone that reads it going to hate it and cut me down? This really scares me, because my heart and soul goes into my writing. Every word is a piece of me splashed onto the page. I fear achieving my goals. I'm scared that I won't get there, that I'll fall along the journey and never be able to get back up. I'm scared no one will accept me and my stories, and understand that all I want is to make someone smile, laugh, love, or cry. I want my readers to feel emotion whether it's happiness or sadness. But mostly, I'm afraid of being afraid. I suffer from anxiety. I get to the point sometimes where everything seems so overwhelming that I can't breathe. My heart races and I start to feel sick, and I have to remind myself to take long, slow breaths. I was driving to work today thinking about all the things I have on my to do list, and then some. My chest tightened, and I realised I was scared because I didn't know if I was going to be able to get it all done. But you know what? I took my long slow breaths, and I told myself that I could do it. No one is making me strive for my goals but me, so I CAN do this. After all, where would we be if we couldn't dream? I hope you all have a fantastic month, and achieve your goals. No hurdle is too big. We just have to look around us at our Indie community to see that. Even if we reach for the moon and miss, we'll still land amongst the stars. I can relate completely, Kim. I've done horrible things to myself right before releasing a book: bite my fingers bloody, collapse! All due to anxiety and fear of disappointing people when it's me who is my toughest critic. Us authors are definitely hard on ourselves! It must be a writer thing.